This is a design/mockup of Affiliate Elite. 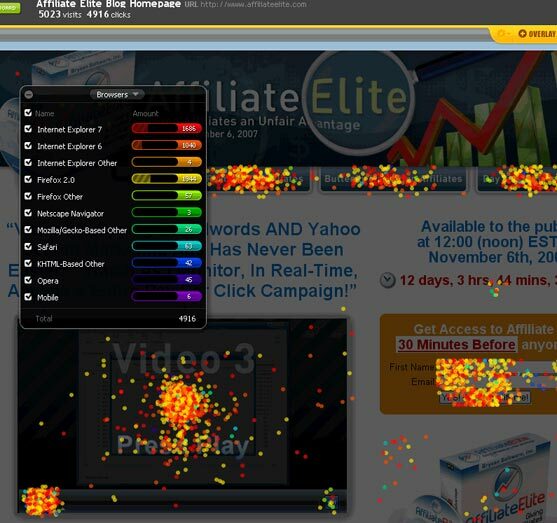 This is heatmapping created by Crazy Egg. This is another design/mockup of Affiliate Elite. 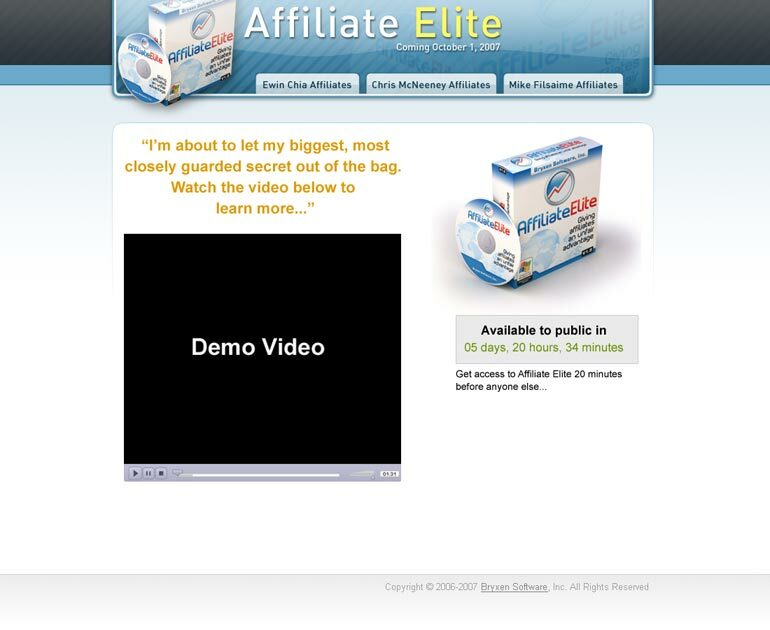 This is a mockup/design of an Affiliate Elite marketing landing page. 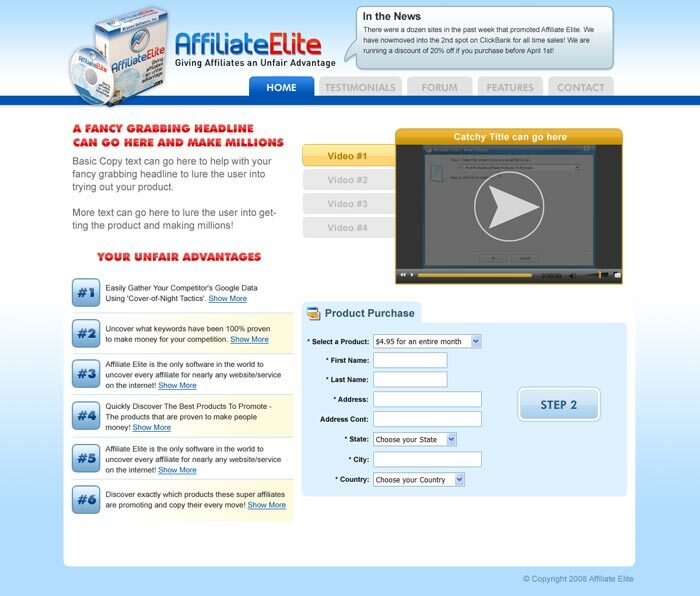 This is another mockup/design of an Affiliate Elite marketing landing page. 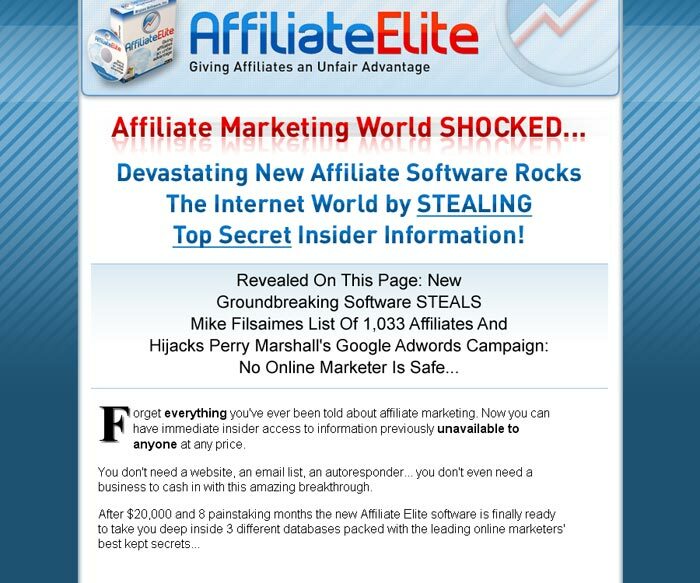 This is another version of an Affiliate Elite marketing landing page. 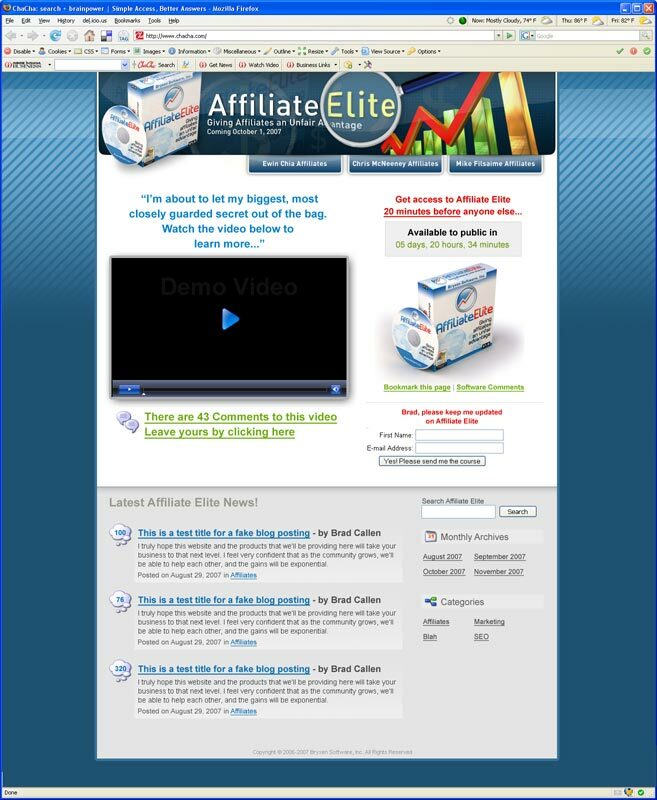 This is another design/mockup of the Affiliate Elite homepage. WordPress has always been my blog / CMS of choice, and I quickly implemented it into this project because of its flexibility and ease of use. Several marketing style landing pages needed to be styled as well to match the look/feel of the main Affiliate Elite site.